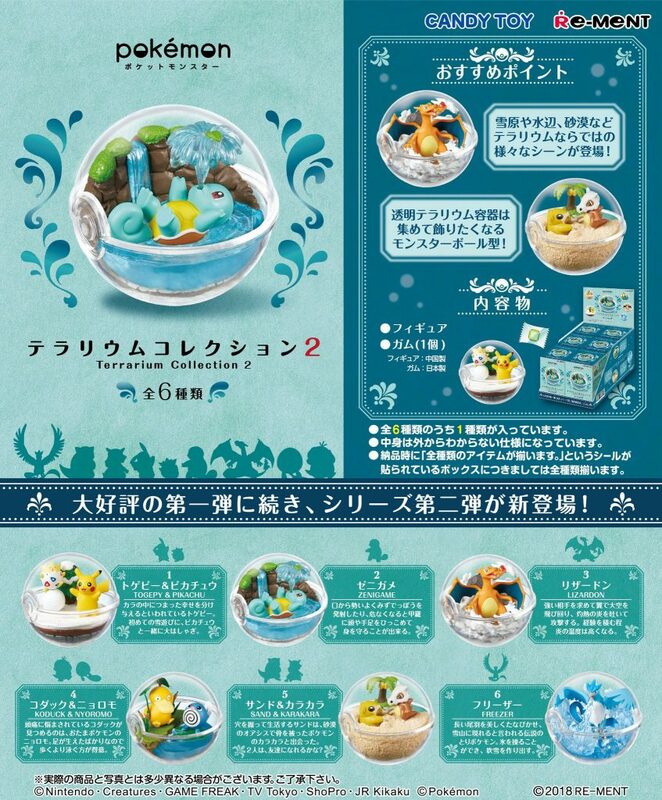 Takara Tomy corporation has just released a new type of Monster Collection Pokemon figure in Japan. They are called Moncolle Poke Del-Z. “Del-Z” is a shortened form of the word “Delruzo” which means “Coming Out” in Japanese. This is the newest craze to hit the Japanese market. Just simply put the figure inside of the Pokeball and you can start having battles with other people. You simply put the figure inside the ball and toss it. The Pokemon figure will jump out of the ball. You can also put your own figures inside the ball. It also comes with several stickers to put inside the Pokeball. 1. First, put the figure inside the Pokeball. 2. Then lightly throw or toss the Pokeball in a rolling motion like you are bowling (dont throw it). 3. The ball will open up and the figure will jump out. 4. On the Inside of the Pokeball there is a number. Whichever team has the highest number wins the battle. These awesome figures are currently available in Japan, but you can purchase them on Pokevault. At the moment there is Charizard, Pikachu, Groudon, Kyogre, Articuno, Moltres & Zapdos available, but more will be coming soon. You can also put your own Moncolle figures in the Pokeball if you prefer. Each game takes place in a different region. Each region, respectively, contains its own “legendary” Pokemon. 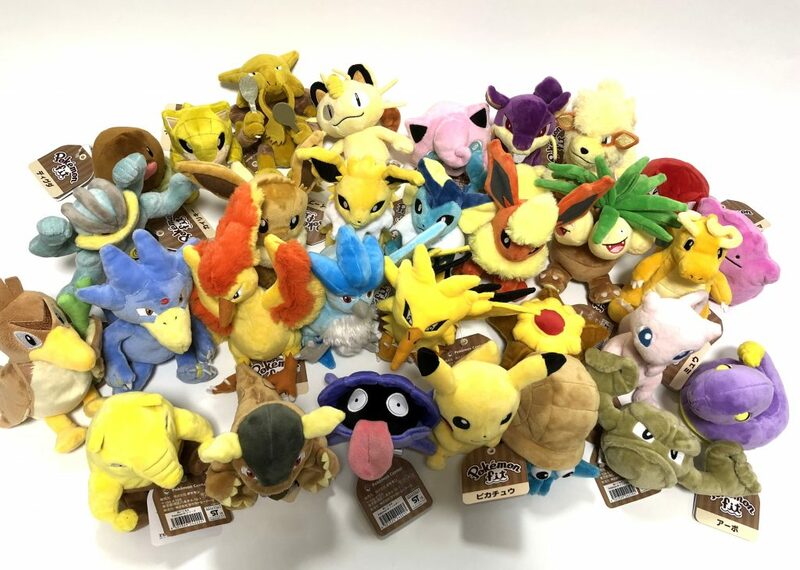 These are Pokemon which are extremely rare, so much so that only one is obtainable per game; Sometimes, only one is found per version, encouraging players to trade for high grade Pokemon that they cannot normally obtain. The first legendary Pokemon are in Pokemon versions Red, Blue, and Yellow. This is a catalogue of the bird trio of Kanto region. All are powerful monsters worth seeking out. Articuno, the Freeze Pokemon. At 5’07”, this is one giant bird. Its types are Ice and Flying, very helpful in battles as Flying type’s usual Ice type weakness is negated. Any Ice type moves do normal damage to Articuno. Articuno’s name is a combination of “arctic” and “uno” (one), but its origins are actually Arabic. The Persian رخ or Rokh (more commonly known as a Roc) is a giant arctic bird of prey. It was said to be able to carry off an elephant, and shares many of the characteristics of the middle-Eastern Pheonix. Articuno is available in all three Red, Blue and Yellow versions on the Seafoam Islands. It lies deep within an icy maze of caverns, far away from humans, and can be confronted only with the help of HM SURF and HM STRENGTH. Zapdos, the Electric Pokemon. Only somewhat smaller than Articuno at 5’03”, this is still one large predator. Like Articuno, its type combination (Electric/Flying) helps to negate one of its weaknesses: Electric damage does not count as Super Effective against Zapdos. Its name follows the trend of combining its element (zap) with the Spanish number for two (dos). It is based on a Native American legend of the thunderbird. The thunderbird was an enormous, sacred bird that could create thunder and lightning by flapping its wings. Some tales of the thunderbird are very also similar to the tales of the Persian Roc. Zapdos can be found in the very last room or the abandoned Power Plant in all three versions of the games, presumably making its home in the most abundant source of electricity. HM SURF is required to gain access to the Power Plant. Zapdos will attack violently if disturbed. Like the other two legendary birds, the Flame Pokemon Moltres’ name is a combination of its element (molten) and the Spanish word for three (tres). It is the last chronologically, and in-game it is also the last to be encountered. The easiest origin to identify, Moltres is most likely based on the legendary Pheonix. The Pheonix was said to have a lifespan of 500-1000 years, and near the end of its life cycle, it would build a nest and set it aflame. It would then rise again from an egg in the middle of the ashes, reborn. Whether or not Moltres shares this ability is not mentioned, but it is certainly just as rare. Moltres has gone through some dramatic physical changes over the years – Sometimes its wings are shown to be made entirely of flame, sometimes only partly. Its first appearance in the Kanto region shows its wings to be completely engulfed in (or possibly entirely composed of) flame. Nearing the end of the game, Moltres can be found in an out of the way portion of Victory Road. As this is an optional route, it is possible to travel Victory Road and never find it. HM STRENGTH is required to traverse Victory Road, and thus to visit the legendary Moltres. I’m sure all of you have heard of legendary Pokemon. Legendary Pokemon are told in ancient legends, they tend to be very powerful and hard to catch. In the Kanto region, you encounter a few legendaries. The legendary Mew is said to have similar DNA to all Pokemon, Mew can learn all TMs. There is also Mew’s clone, he goes by the name on Mewtwo, he is a clone created in a lab to be a super powerful Pokemon. Mewtwo lives in Cerulean Cave right now I believe. there is also a legendary trio. This legendary trio goes by the birds, the three birds, the bird trio, the legendary birds, whatever you want to call them. The first is Articuno, Articuno is and ice and flying type Pokemon. He can get moves like avalanche and ice beam. He can freze your opponents well, now can’t he? He is very powerful and hard to catch. He lives in an icey cave around Cinnabar Island. In Pokemon 2000 The power of One, he lives on ice Island and has a blue orb, and ice blue orb that must be retrieved and brought to the pedestal. The second is this trio is the legendary Zapdos. Zapdos is an electric and flying type Pokemon. He will shock your opponents down with his Thunder, or show them who’s boss with Drill Peck attack. Zapdos is probably the most famous in the trio, but that’s just an opinion. Zapdos currently lives in the old Power Plant by Cerulean City. In Pokemon 2000 The Power of One, Zapdos lives on Thunder Island. He has a yellow orb with a static effect inside of it. Pikachu tries to communicate with Zapdos. And Ash has to get the orb of thunder to the pedestal, along with the orb of ice. An integral part of the Pokemon adventure is the team you carry with you, to support you and share your journey. I should think that at some point, most enthusiasts will have thought about their perfect Pokemon team – for video game competitors, it’s all about the ‘sweepers’, the ‘leaders’, the ‘walls’; basically the reduction of your team into key cogs in a well-oiled, efficient machine. A gamer might play Chandelure for his awesome special attack stat… but he may in reality hate the sight of Chandelure. Card gamers want three things: consistency, consistency and, of course, consistency. This leads them to play multiple copies of the same card. In a Resiboar deck, your ‘team’ of six may end up consisting of two Reshiram, an Emboar, a Cleffa and two Ninetales. Wait, don’t I remember reading that Reshiram is a unique Pokemon? So how come two exist in this trainer’s party? And there really seems to be a fiery theme happening here – what happens if an opposing trainer lets loose with a devastating Hydro Cannon during a spontaneous battle? While these problems are unlikely to cause any stress in the card game, if Pokemon were real, they are things I would certainly consider before selecting my trusty team of six. So, disliking the reification of the video game, and the lopsided parties of the card game, I ask myself, and everyone else: ‘If Pokemon were real, who would make the cut for your team?’ Here’s mine. 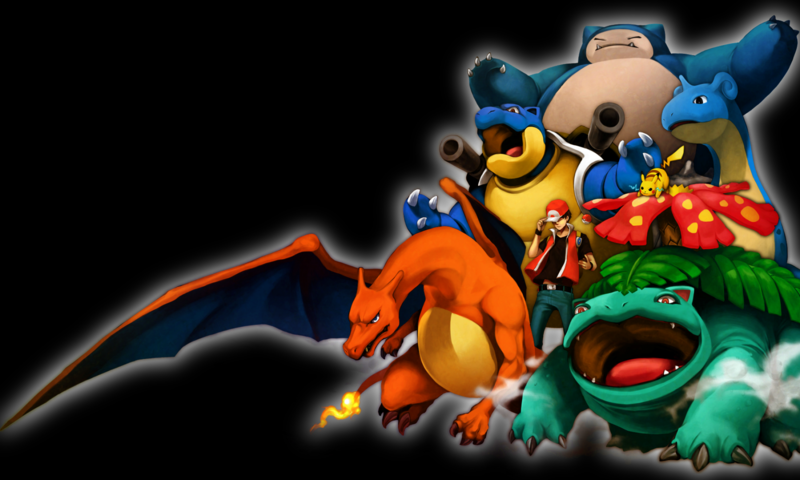 As the Pokemon games have expanded, so has the amount of legendary trios. Though the first trio, The Legendary Birds (Articuno, Zapdos, and Moltres), really set the standards that the others would have to meet in future generations. Some of the criteria that they implemented were that the three should be about equal in abilities, share common traits, and check each other in certain areas. In the games they’ve been referred to by other names, one of the most popular being ‘winged mirages’. Articuno is the most passive of the three birds. It lives in the highest of mountains to isolate itself from others and dislikes battling. Articuno is thought to be only a myth, a sight that travelers without any chance of surviving see before meeting death at extremely low temperatures. It is supposed to be quite a beautiful sight to behold, with its icy feathers gleaming and its long, flowing tail trailing behind it. According to its pokedex entries, Articuno is said to freeze the moisture in the atmosphere while flying so it actually causes snow to fall after it. Articuno is the first Legendary Pokemon listed in the National Pokedex. Its name comes from the word ‘arctic’ and is most-likely based off from Persian rokh, a giant arctic bird. In every region are those hard-to-find, rare, and of course, powerful Pokemon. Those are known as legendaries, or legends for short. All legends have incredible background stories (further explained in the TV episodes and movies) and are rumored to have powers to change a certain element of the world. The first generation features the three legendary birds, Zapdos, Articuno, and Moltres, each of a different type. In the movie, Ash learns that they have the power to change the weather where they are, and why they live on three separate mountains. The other two legends are Mew and Mewtwo, both very unique. The newer games describe Mew as the possible ancestor of Pokemon because of the many kinds of moves that it can use. After looking at the list, I came to the conclusion that Mew can learn just about any TM or HM move. Mewtwo was created by scientists that used some of Mew’s DNA. The first ever Pokemon movie describes in the beginning that Mewtwo became smart enough to realize that it was being used as something to test the measure of other Pokemon’s strength, and made it its goal to get revenge on everyone and everything.